I find lighthouses so enchanting. 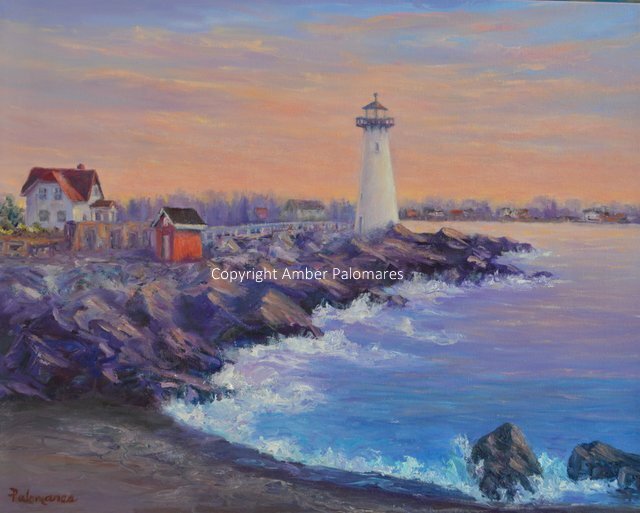 When I was painting this lighthouse, I thought of the Bible verse, I will guide you along the best pathway for your life. Psalm 32:8 NLT. These beacons stand tall and proud along the coastlines guiding boats and ships into safe harbors. Each lighthouse is so unique and usually accompanied by the lighthouse keepers home. I've seen many along the West coast of the United States and would like to visit and paint all of them. The Lighthouse in Portsmouth, NH is said to be haunted! I find the history of each of the lighthouses so interesting. Lighthouses are truly treasures to be enjoyed!